The 18V ONE+ Brushless Impact Driver is ideal for a wide range of DIY jobs, letting you take on anything that requires a strong twisting force. You'll never have to think twice about hurting your hands or wrists with one of these powerful tools on your side despite the high torque involved, this impact driver is easy to hold and provides exceptional comfort for users. The brushless motor means less friction internally, reducing both wear and energy loss so you get more from each charge and the overall life of your tool. 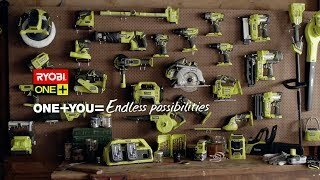 You'll love the cordless convenience of our entire range of ONE+ power tools. With more than 50 products that all use the same battery platform, this collection lets you invest more in new tools without forcing you to buy additional batteries. 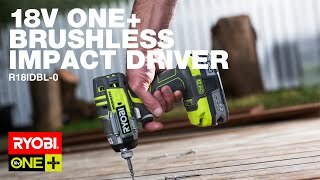 When it comes to hammering or driving into tough materials, you can't go past the Ryobi 18V ONE+ Brushless Impact Driver. Get yours today from your nearest Bunnings Warehouse.